MINDBODY Software Reviews Recently Reviewed! Pros: I consider MindBody on the computer, and a mobile device two different software experiences. What I enjoy the most about MindBody on the computer, is the ability to resize the window, which allows you to control the amount of information on the screen. What I like most about the MindBody software on a mobile device is the ease of use, and straight to the point UI. Cons: What I like least about the MindBody software on the computer is the outdated feel and UI. Some menus feel cluttered, while other menus are mostly blank and could contain more information or a drop-down menu and some tabs feel hidden too. A lot of our staff members state that they can not understand the software at first glance and have a difficult time navigating the UI. Simply put, the software should be as easy as, I want to do A, B and C, and should be able to not have to dig through tabs and menus to do it. Overall: My overall experience with Mindbody business management has been well. Customer service is really good, each department I speak with is very helpful and informative. However, I would like to see Mindbody have a department or a program that allows businesses to collaborate with the MindBody software team, to help improve the software and help the Mindbody software team understands the types of software tools different business would need. Overall: Overall. Our experience is a positive one. Pros: Very easy to use once you get set up and figure it out how to make it work for your business. Before MindBody changed their software capabilities... again... there was so much flexibility in how to use the software and it has so many very applicable functions for multiple business types. Customer service has ALWAYS been amazing and the interface is very customer friendly. It also has a great app for online booking. Cons: How much the program changes in terms of the way the interface is used; every "update" has made the system very complicated for our businesses use, and we would constantly be retraining our employees how to use get around the new changes to use the software as we originally purchased it for. As of a month ago, they just implemented a new payment tier system that has limited our previous uses and is forcing us to pay an additional (went from to get most of the functions back and a bunch we don't want or will ever use for our business. Which leads us to our final issue... MindBody is constantly upping their prices. We have been with them for 5 years (???) and every year they are charging us more. In summary, too many changes with little warning, new functions are being implied that we don't want nor will use but are expected to pay for, and capabilities we had before we are now expected to pay more for after years of access. We wished we could have stayed with them, but they seemed to have outgrown our business and overshoot our needs. Overall: Did a great job compiling competitive software services that we need for our business. Pros: MBO is far more than a software provider. They are my strategic business partner. They keep me current on all the technological advancements available in the market through ongoing development in the software. As well as provide the research/data analysis which helps me make sound business decisions regarding my future growth and profitability. Pros: MindBody customer support is AWESOME! It's the reason I stay with MindBody, though Square offers a lower rate to NCBTMB members such as myself- square's customer support is awful. In contrast stands Max Malle. Remember that name. Best customer service rep I've ever known. He and the others go above and beyond their jobs- you can feel their sincerity. Oh and I've doubled my income and am set to triple it this year because the software does SO MUCH WORK for me. It's my administrative assistant that I only pay $ a month for! It rocks. Cons: Hm. Well, I have yet to figure out the difference between signing someone up for a yoga class and signing them in to a yoga class, so maybe differentiating that in the program's wording would help. OH and for those of us who use our phones exclusively, not a computer, when using the software, it would be lovely if the phone programming held everything just like the computer programming does. Hmmmmm .... OH and sometimes late at night my schedule disappears completely from my phone. It shows up as blank, which is frightening, but in the morning it's back to normal. Maybe you guys are working on it then? Overall: MindBody is the admin assistant I've always needed and could never before afford. In the first three months of using it I DOUBLED my income. My clients can schedule, cancel, reschedule, sign up for classes and pay online- that alone saves me at least two hours a day that I no longer have to be on the phone, I can be working! Or playing with my family, or a million other things rather than sitting on a phone or on email. Just the ability to take credit cards (all of them) increased my pay; there's a feature when the client pays which asks if they want to leave a tip and offers different percentages or a custom amount...and when asked if they want to leave a tip, more people do so! Seriously my average went from 65 to 90 each session. Clients can buy gift cards online and print them out immediately, that's a nice feature for those last minute gift givers, and they are again asked if they want to leave a tip... it's crazy how quickly my income skyrocketed. I'm beyond grateful. Recommendations to other buyers: PLEASE tell your programmers how very much I admire them. Please let them know how much they rock. Please tell them that they changed the life of a single mom of three, that we all eat SO much better now, all organic we can afford it! And tell them that they're healers in their own right. So many of us Ayurvedic Medicine Practitioners and yoga teachers and massage therapists give away tons of work for free or for charities and live knowing we're in this 'cause we love it, not for the money BUT NOW I HAVE BOTH!!! I actually make enough to support my family! AND I can still give lots of good work for free (stage IV cancer clients get free weekly treatments at my clinic.) Who knew we could do good in the world and receive good pay as well? YOUR PROGRAMMERS KNEW. So tell them we adore them please. Comments: I have been using Mind Body for 5 yrs. I am a single practitioner Registered massage therapy clinic. I am very computer savvy. I have used several practice management software and have contributed to UI development of two of them. At the time of sign up I had completed an exhaustive search on Clinic management apps. The two that came out on top for me were Mind/Body and another one. I went with MB because their salesman misrepresented their tech's ability to export my data. In the end, they couldn't do it. He also signed me up at the wrong price for my situation and it cost me extra $ for months. I decided to continue with MB without my previous client database. The back end of the software is extremely complicated and took quite a while to get things to work right. They seem to feel they are the best solution out there, they clearly haven't looked closely at the other providers and how my clients could interact with the software which is overly complicated, I have numerous clients who won't work with MB and call or text. (there will always be some who won't use it no matter the design) They are committed to using Flash (outdated) if you want to use an iPhone or iPad you have to use their apps instead of the site being HTML5 or cross platform compatible. It also doesn't work well with Safari. The CRM is poorly designed and their premium Soap notes are a joke in comparison to what the competition like Booker, Jane app, Soap Vault. and many more offer. Their Auto emails don't handle embedded HTML correctly and are completely broken at the moment and fill my email with content not linked to. You can't collate, print or export client notes or soap notes. I have to copy and paste my notes into word to create a medical-legal report. Pros: Great 24hr customer service support. Wide range of features. Conventions, classes, and online training on how to use their product and market your practice better Reasonably easy to run your practice once you are set up. Good consumer awareness of the apps so you can be found through their network of providers. 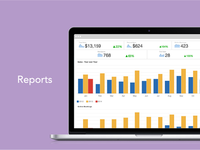 A good set of reports to understand and analyze your business. Cons: Over priced. If a corporation can have an Igo they are conceited and not fully aware of their competition and how they are being bettered by other companies that didn't have to spend millions of dollars last year to deliver what they are offering. Raised my rates 60% in two price increases over the last 6 month period. The initial salesman made false promises. Overly complicated user interface both for potential clients and for service providers. No automatic booking assistance that keeps dead spaces to a minimum. Poor Contact Relation management compared to much less expensive software. Pushed expensive 3rd party upgrades for components that should have been included in the price. They don't have a well-developed place to create treatment notes, can't print, collate or export the notes you do create. Not PIPA compliant (Standards of patient privacy) Can't bill or track insurance billing and payments. Takes forever to fix something broken in their software. Promised features and then took 2-3 years to deliver features. Recommendations to other buyers: Spend your time doing your research of the other providers, You will get more for you money elsewhere. Pros: Excellent admin management. Wonderful for managing appointments and worth the money based on this alone. You pay more as your business grows. I have found the support to be excellent. I'm not sure why so many people here are complaining about the support. Everyone I've talked to has been really knowledgeable and helpful. Cons: No way to book appointments directly on your own website. This is a pretty big one for me obviously. The booking page for the customer is stark, confusing, and unnecessarily cumbersome. There needs to be a way to make the integration more seamless and pretty. I guess it's just very disappointing because the software and company are otherwise very good. This seems like such a no-brainer and I feel like I'm losing business because of it. This needs to be addressed. Overall: Own a hair salon? This might be important to you too: I've been using MindBody for nearly 2 years at my salon for its online booking. I have nothing bad to say about how the online booking functions on MY end... meaning that when I log in and manage my appointments, it's pretty easy for me. It's actually REALLY easy for me and I love the way MindBody allows me to manage my appointments. So I do recommend it for this very important reason. HOWEVER, what I don't love about this service is that, according to my website designers SetMySite (these guys are incredible btw), there's no "customizable embed code"... in business owner terms that means, when the client wants to book their appointment through the website, they click on a link on the website that takes them OUT of your website and ON TO MindBody's website. There are other salon booking applications that allow you to create a custom look and feel to the appointment booking application and "embed" it onto your website, so that your clients can actually book ON your website. MindBody offers no such feature. So why does this ruin the experience so much? 1) It looks unprofessional! We consider ourselves a very high-end salon. Sending our client to another website that doesn't match the same look and feel of our website looks amateur and unpolished. Especially since our website uses dark colors, and MindBody's is all white - it's a very ugly contrast. 2) It's not very user friendly for the client. Originally I wanted a "book now" button under each service offering on my website and I wanted to have that button automatically take the client down the path to book that specific service once they clicked on it (obviously). But I guess that wasn't so obvious for the MindBody peeps as when someone clicks on the "book now" button on my website, it just takes them to a general page where the client has to fish around for the service they JUST TRIED to book on my site and re-add it so they can book! SMH. 3) When the client is taken to the MindBody booking page, they aren't greeted with a list of services to choose from. They are greeted the the need to "sign in" to an account. How could a first time client already have an account? MindBody should know that many many clients that book online are actually first time clients! Why not make it as easy as possible for them to book online? I feel like MindBody makes it as HARD as possible for them to book the service they want through the website itself. 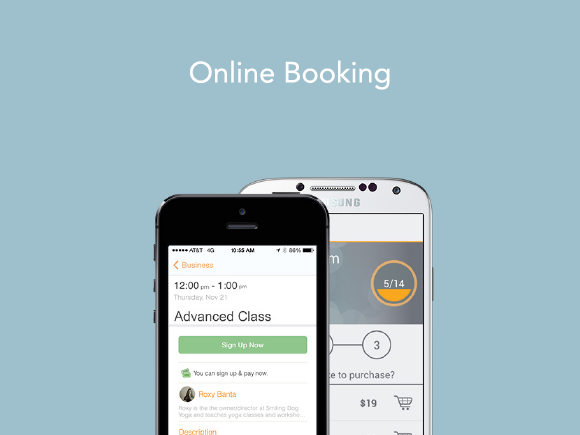 Recommendations to other buyers: The MindBody app is really nice and a handful of my clients use it for booking their appointments which is pretty cool. I had SetMySite add a button to my website so clients could download the app to their phones and book their appointments that way. The app is cleaner and easier to use. Cons: I do not think it's efficient at all. There are wayyyyyyyyy too many things to click to get to what you want, clients have to wait way too long to get signed in and pay for a package. I used to work in the restaurant industry and POS systems definitely had their flaws but they were quick and to the point. MBO was definitely designed by someone who has never had to work a busy sign in at a busy yoga studio. It seems the system was designed by someone who does not understand the client experience or how important efficiency is an employee. And the amount of glitches and ways I have to trick the system to do what I want, for example the autopay schedule. Why can't I use two forms of payment for one payment? Like $10 from their account credit and the rest on the card. Instead I have to charge the card the rest ahead of time to the account and then apply it to the month and then go in and change the payment type which sometimes doesn't save and sometimes changes it all to account payment. Which causes the client to have a huge negative account balance by the time we catch it and we have to go back to find them. That's one example. Pros: It is reasonably fully featured, and you can usually find a work around to achieve what you want or need to do, but it isn't all that intuitive. Cons: MindBody has become horrendously over-priced. They increased subscription rates by a huge margin (almost double, in some cases! ), and justified it by shoe-horning in a bunch of extra features that we did not want or need, or which were not available to us outside of the US - yet we were still expected to pay for them! Our only option was to downgrade our subscription package to one left us about a quarter of the features we were used to, and removed some very common-sense "features"(such as the ability to mask instructors full names from the client-facing interface - thus leaving our instructors open to potential stalking from people not even signed up to our system) - and yet we still had to pay more for this poorer functionality! The fact that they did not grandfather in current subscribers to stay at the same rate is appalling - we've been using MindBody for six years. Some recognition of customer loyalty would go a long way. Overall: Middling. The only reason we are still with MindBody is because it took a long time to set it up how we want it, and our clients are familiar and understand how to use it. Cons: Would like more emphasis on 'enrollment' aspect of software since that is what we use the most. Overall: After running our sailing school for 20 years under the county park system, our supervisors decided to discontinue the park's registration services. We were suddenly thrust into an administrative role where we had no experience. As I blindly searched for a registration solution, I stumbled upon Mindbody. My initial deduction was that the product wouldn't work for the types of programs and services we provide. I explained this to the Mindbody representative and described all the reasons why it wasn't a good fit. She listened to my rant and one by one dispelled my objections with solutions in the Mindbody software. Not only that, she assured me that Mindbody would be there to hold-our-hand through it all, and that the price was well within our budget. I had no choice but to sign up on the spot. 8 years later and Westwind is stronger than ever. In the first year of using Mindbody, our registrations and revenues were the best they had been in 5 years despite the ongoing recession. Our business continues to grow and evolve and Mindbody grows and evolves with us. I was blown away the first time I noticed improvements in the product based on requests from the clients. Now it's just the norm. I recently discovered Mindbody BOLD and Mindbody University. Both were some of the best business conferences I've attended in 30 years of running my company. Bottom line: Mindbody is a dynamic and forward thinking company that sincerely cares about its staff and customers. I strive to run my business this way and I find that I use Mindbody as a role mode. LOL! I'm not getting paid to say this stuff, it just really is that good! Pros: I love that this software updates so quickly, is responsive, straightforward, and easy to use. I have used apps for a ballet barre studio and OrangeTheory that have been powered through mind body. My experience has been great - signing up for classes has never been easier, and I love the option to see my history, how many classes I have left in my package (would like a way to see when those expire as I don't always remember billing date), what package options are available, and even instructor photos and names in case I couldn't remember that one instructor whose class I enjoyed. The dashboard is also useful as I feel it displays useful at-a-glance information and helpful tips that have actually changed my approach to the workout. Cons: I get that it needs to be password protected as you can buy additional classes, but in the past it's been a bit annoying to have to sign into the app - it's not always straightforward what e-mail & password I used. Would be much better with a PIN / 4 digit passcode sign in or Face ID or something. If it takes me too long to sign in, I get annoyed and do something else instead of signing up for that class. I will say, though, that recently, I haven't had to sign in too much, as my account opens when I open my app for OrangeTheory, but sometimes in the past I've gotten logged out and it's a pain to get back in. Overall: Overall, my experience has been great - I actually remember being excited when my current studio, OrangeTheory, switched over to MindBody, because it was something I was familiar with from other studios. So I liked the idea that I wouldn't have to be stressed about learning a whole new platform because it had been so simple when I used it previously. It would be great if more studios would use this app to establish continuity across app usage and make our lives easier. Pros: It provides you with at least some type of software. They promote themselves pretty well, which makes them more known. Cons: They overrate themselves, as the software does not have as much capability as they say, in several areas. Too expensive or can become that way, in order to have all the features you need, because you have to hire additional entities to get certain features that are not included. We now have a software with just about everything included in the pricing. MB's pricing increases quite often. I did not appreciate that in the beginning when training with them, they don't tell you how many limited hours they give you and are actually monitoring, but in the long run, they tell you how much of their time you've taken up, when you never knew there was a limit or that you were being monitored. The whole time they're telling you it's okay, you're fine, we'll give you as much time as you need. In the long run, they used this against me. Had they told me this info from the start, I would have hesitated or been more stingy in asking my questions and reaching out for assistance. I finally left MB when I had an unprofessional experience wherein I was mistakenly included in an interoffice email wherein they said some false, mean-spirited ' unprofessional things about me. That was the final straw. I am much happier now with my current software provider. Thank you for sharing your experience with MINDBODY. We are sorry to hear about the situation you outlined regarding your business being discussed by our employees in an unprofessional manner. We'd like to look into this situation on your behalf. Would you be comfortable sharing details about your business with our team at reviews@mindbodyonline.com? Pros: Once MBO is setup, the basic functions are relatively easy to use, especially in the app. My staff rarely have issues and picked up the basic functionality quickly. The MBO trainers who help to setup the system and do the training for the administrator are great, as are the support team. Very helpful and knowledgeable. I use the chat feature with support often, even though there is often a 20-minute wait. Cons: From the administrator's perspective, user experience and system design could use some work. It's not very intuitive and can be difficult to locate things. Lots of little check boxes off to the sides, pull downs with language that isn't straightforward, easy to miss things or select the wrong thing when setting up or making changes. You will need to contact support a lot, especially in the beginning. Initial onboarding for the administrator is not easy, even for someone quite comfortable with technology. I also haven't found the integration partnerships not great, especially WaiverKing. Hard to setup and the support is not great. Glitchy. Clients often have issues. In addition, I use WaiverKing for client's to fill out a medical intake form, which is not accessible from the MBO app. My staff must open MBO on the browser on their mobile devices in order to see documents. Not ideal as the browser version is not optimized for mobile. Very hard to use. Also not loving the marketing automation features. Limited and visually not that nice looking in terms of design. Overall: I had a very bad experience with a billing issue. I got lost somewhere between the sales and billing departments. Took hours and hours of my time on the phone and many emails to resolve a very straightforward billing issue. The issue was escalated, but I still didn't receive very good service. MBO eventually fixed the error, but didn't offer me anything for my trouble. The way they handled the entire thing was brutal. Eroded the loyalty and goodwill they had developed with me during the training sessions. Pros: I like the tabs. The call help is great and almost always helpful. I also like the help chat so I can save the transcript and go back if I can't remember how I fixed something. Cons: should be more simplified. have all of the pricing options, price making together. have like with like, all of the events/workshops/courses/enrollments should be together on the same screen. It took me hours to figure out how to add a course, mostly b/c I couldn't find the course tab anywhere near anything that made sense. why it's under manager tools... and not services and pricing with the classes and enrollments is confusing to me. I even used your help button and couldn't find the course management b/c I didn't know what it was called and had to search it in obscure ways in order to finally see course! I've used quickbooks for years in previous jobs and it is so easy to use! I wish MBO was more like that. I would also like to be able to add an hourly pay rate for staff. we offer teacher trainings and pay the teachers hourly for training and a different hourly rate for mentor meetings. IThat way when I run my payroll report I would have everything on it. Now I have to keep a separate sheet with any extra work teachers do. Even a "general journal" type option would suffice. Pros: Scheduling appointments is much easier than our previous system, when the site is functioning properly. Running payroll and reports is much easier than our previous system. Cons: Frequent service interruptions - system was down for 3 hours one day, causing delays in bookings, checking in and payment processing. It is very hard to ask a client if they don't mind if we charge a credit card for service after they have left (when system functions again) or asking people if we can call them back to schedule an appointment because system is down. I had been calling periodically for over 2 weeks because of lag time on site, customer service blamed it on our internet provider (Charter). After our outage, they admitted that they had problems with a software update and were pulling it back to fix bugs. This would have been nice to know from the beginning. I would love to switch software, but it seems that all booking software has issues and the time it takes to import data and appointments may not be worth it. My hope is that Mindbody works out the bugs and can figure out a way to maintain functionality of it's site. Also, when calling customer service, they generally look up an answer on their own Help site - which I have already read. Seems like everyone is scripted, not actually trained in technical support. Pros: It is fairly user friendly, and there are a lot of tutorials which are great for helping my staff and I find the answers for questions without needing to call and contact a customer service representative. I like that you can use it for multiple types of appointments/services all in one place, instead of needing different software to support each one. Cons: Some things are not super user friendly. There seem to be places where there are quite a few "work arounds" that need to happen in order for us to achieve the outcome we are looking for, and that makes it confusing for the client and for our staff. I feel there isn't always just ONE single way to do something, which makes training new staff a bit more difficult. The price is also a little high. With the increase this year it has been an adjustment for our business since we are a pretty low priced fitness studio, but overall it has still been worth the investment for having everything managed in one place. Overall: Our overall experience has been truly great. The customer service staff are excellent and they almost always have a good answer for us and a way to make business easier for us when we need to call to get help from them. The app is beautiful and the Mindbody team really does an excellent job supporting it's customers and marketing them all (from little guys like us, to huge brands worldwide). Pros: Reporting features ("tagging" is an excellent one), flexibility in options for settings, appointment confirmations, and reminders, training, and technical support. Cons: Inability to capture credit card info from the client at booking, integration with the website is clunky, high monthly cost, the app doesn't require the client to enter a phone number, SMS alerts to staff are only possible when the client has opted in to also receive SMS appointment notifications. Overall: MB does some things really well, then falls far short on obvious things. We've been using it for 5 years, and my number one complaint is the inability to capture credit cards during the booking process to hold a reservation. We have lost probably thousands of dollars from clients who no-showed, and we had no credit card to bill. MB will tell you that they do have this feature when in reality it's a workaround that is incredibly obnoxious and intrusive to the client (a giant box will pop up saying MISSING BILLING INFO, but it gives the client no idea what this means). Their app also does not require a client to enter a phone number, despite that being a forced field set by us on the back end. I would agree with a previous reviewer who said this software is best for class-based businesses. MB largely ignores the needs of other businesses. Considering they just announced they are raising their monthly fee almost 32% to a whopping amount, we are starting to research other companies. I'm done with MB. Pros: MB has been the industry standard for yoga and massage for years. Their product offers many layers of functionality for service based industries. Mobile app is useful for scheduling. Cons: I have used MB for almost 8 years and used to love them but they have changed significantly recently. In the last 24 months the service and product has degraded significantly. Customer service calls average a 45 minute wait during the days, call back service doesn't work. CSR, are now poorly trained at finding solutions (they used to be amazing). Bugs continue to pop up with each revision and most remain unresolved. In January 2017 errors with the online scheduler became excessive (4 in one month) where clients booked apts online and we were never notified of their requests. Then with the addition of text apt reminders it increased charges and I was unaware that other providers did this at no extra charge. Then in January 2017 an email from the president (which intentionally went to junk mail since it didn't come from the known sender like the bills come from) indicated a necessary increase with no new functionality. Leaving them has been hard to transfer data to a new provider, but worth it. Overall: It provides a one stop program for practice management. Pros: Mind Body software has a vast amount of capabilities to support a small med spa business. There are many tools. Cons: Mind Body is NOT user friendly. I believe, because it does so much, it's hard to touch on everything that it can do for the business. There are many tools but the instructions on how to use those tools are difficult to find. Likewise, the screen shots used in the tutorials or instructions are sometimes out of date which also make it difficult. The person who set up this software for our medspa did a poor job; she's gone, and it's left the remaining staff struggling with why things work they way they do. We could pay to have a complete overhaul but that would be an added expense we do not wish to incur. Overall: It's like being provided a Mercedes, but owners should determine if they need that Mercedes when a Ford might do just as well. The Mind Body Certification process that has recently been implemented is SOMEWHAT helpful, but it still comes up short. Now we are "married" to Mind Body and pay the Mercedes price for resources that we do not use. My recommendation to anyone considering this software is to investigate it thoroughly before making the purchase and determine if all of the bells and whistles are needed. The more bells and whistles, the more complicated the setup. 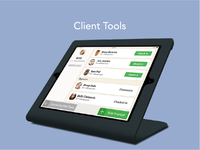 Pros: Appointments Scheduling, Email confirmations, Consumer access (Browser only). Cons: Gift Card redemption's are difficult, Discounting / Promotion options work intermittently, App does not allow purchasing (huge loss in revenue), Payroll reporting is inaccurate (does not save configuration, which causes over payments) , Forced merchant Servicing, Forced keyed processing (Expensive), Forced PCI Compliance (Quarterly). This software is not designed for Day Spas, Healing Centers, Massage houses etc. Not designed for high volume business. It was designed for Yoga studios and gym type business. Overall: is that MB is a software for Spas. It's primarily constructed for Yoga and gym type business. Ive bee with them for about a year and have spent tens of thousands, configuring, fixing and attempting work arounds to get things to work. We came to MB with over 40,000 active clients and the transition cost a ton of money. If you have a subscription or autopay type business than it works. But their merchant vendor charges based on manually entered credit card numbers each month. Which charges more even though it's a snapshot run on an autopay. Their Engage app is deficient in that you cannot sell services, gift cards or autopays from it. Gift Cards in small volume is OK but many deficiencies. Basically a great tool for yoga but for a high volume business? Not close. Their support staff is handcuffed and you can tell it's frustrating for them. They make changes and improvements to the system based on how many complaint's they receive. W e are not a yoga studio so the work orders we submit fall on deaf years. We are a 20+ year old healing center. I don't know if we have the strength to change management software again. Great for yoga but NOT designed for spas. Pros: It was a robust software until they decided to cancel all the great features in my package. Cons: Consistent price increase without additional features or software upgrades. This time, with a two months notice, they announced that if you wanted to keep the same features as before, you had to pay more- which I refused. So I stayed with a monthly package and lost most features which made me choose Mindbody from the first place. The functionalities now are those of a very basic online booking software, and for the price I'm paying, I'd rather look for cheaper alternatives. It took me 3 months to set up the software, what a waist of time. Overall: Having been a loyal customers for 3 years, and having accepted without complaining the numerous price increases, I feel cheated. Thank you for taking the time to leave a review of your experience with MINDBODY. We value the years you've spent with us. In early 2018, we repackaged our software based on the common features that our customers used to ensure that no business was paying for features they didn't use or need. We do see that you were able to connect with a member of our team to select our Essential package, but if you do need any of the features of our Accelerate package, we do encourage you to consider moving up to that tier. Pros: I love all of the value. Added from MBO. On the home page I'm easily able to see how many. New customers have found my business and purchased services through the MBO app. Every month that number is higher than the cost of the software so I'm actually making money by not switching to one of the less expensive services. I also LOVE the MBO support staff and how easy it is to get someone to help with any problems or questions. Every year more services and programs are added that have helped my business grow since I first started 5 years ago. Cons: When I first started learning how to use MBO five years ago I found it difficult and not intuitive. I believe that the platform has improved since then and, as I said, the support team is very good at helping you to figure things out. That said, there is a learning curve for new employees simply because there are so many features and it can take a while to find your way through to do what you need to do. Overall: I don't know how I would run my business without MBO. It makes my whole operation run more smoothly and takes care of so many details that I simply would not be able to manage. Thank you MBO!!! OK Software- bad customer service, cc processing times scattered, very expensive!!! Pros: It worked for what I needed it to do. The reports section was very good. Cons: Not intuitive to use. Big learning curve. Processing times are never the same. Constant contact integration is not accurate. Customer service is terrible. Incredibly over priced for a small business. It costs a huge fee to leave if you want your cc data. Overall: I own a music school. We were able to make MB work with what we do. Billing, scheduling, marketing all in one place-excellent~ CC processing is strange. Your money can hit your bank "whenever" and processing times are always different- one month is was very late which cost us hundreds in fees. They would not pay for the late fees we incurred. There is no customer service. You get put on hold and then an answering machine asks for a call back number. Recently approached by a different software who does the same thing for much less! So far their customer service is responsive and the configuration is similar. Set up more intuitive and clearer than MB. What MB does not tell you is how much it costs for you to leave, a high amount of money to export credit card information. Read all of the Terms of Service agreement which is on the very bottom of the website in tiny writing. Overall horrible experience with the people and policies of this company. Recommendations to other buyers: Look elsewhere. I am trying Wellness Living. At least I can afford it. Pros: This software is perfect for those who are marketing large quantities of products or services. Very customizable. If you learn all the functions of the product it can be very helpful. Reporting is top notch. You can almost pull any metric that you can think of. Ability to link to bar code scanner. Can link multiple locations together. Can also easily transfer inventory between locations. Very good scheduling functions that are available by person or by resource. Excellent online scheduling features. Cons: Pretty expensive in the long run especially if you have multiple locations. You have to purchase a separate program for each location. This system can be overwhelming with all the bells and whistles. If you don't set up every product just right with reorder quantities and minimums and maximums, you cannot use several of the features. Definitely requires a very detail-oriented, intelligent person to set this up correctly. Overall: Used this software for 5 years and had excellent results. When our locations downsized it was overkill for us. If you are willing to pay the money it is a lot of product. Can be complicated at first, but after you ununderstand how to use it it's pretty powerful. This allows for easy tracking and book keeping. Cons: -Payment enter information for a user can be a challenge, they need to make a login and password. This is ok if they use the MINDBODY app for other health and fitness services but most of mine don't, and they don't want to make another use account. So instead I have to take their payment info by phone, when it's be easier for me to send them an electronic form to fill out and it would auto populate their client profile. -calendar is hard to use for blocking time off, for example if away on vacation etc. needs to be more like google iCal, it would be even better if it could sync with google iCal (the reverse) to see if there are any calendar appointments that would otherwise make that person unavailable at that time. calendar needs to be more adaptable and allow overlap of different things if necessary. Overall: Alllows me to accept payments from clients with relative ease after their payment info is on their profile. Bookkeeping and tracking of all sales. Pros: This software has a ton of features, and is a very powerful tool if you have a very large business. The check in feature is not one that I have found anywhere else, and it's very useful to my business. The on boarding specialist was super knowledgeable and very helpful in getting everything set up. I really liked that you could tailor make this to suit various kinds of businesses, not just spa and health companies. Cons: Technical support was a bit lack lustre. You often had to wait over 45 minutes, sometimes up to 1.5 hours on hold to get someone on the phone. That person would then just try to search the problem themselves, and often I would just end up hanging up and spend hours trouble shooting myself because support had no idea what to do. A few times they just could not solve my issues with printers, and cashdrawers auto functions, and blamed it on java, saying there was nothing they could do. Very early on my key broke in the cash drawer and after several calls around, I was told the warranty would not cover this-very annoying. Most importantly, they then raised their already overpriced subscription by a significant amount, and I realized all the headaches were really just not worth the price anymore, so I cancelled. Pros: I love the ease of making and creating appointments. It's a very easy program to start using right away with your small business. I love how you can set up prepaid appointments, but the process to figure it out was rough (more on that later). The reports are great for book keeping and help me keep a great account of our business and it has everything my accountant needs. My clients love the appointment reminders. My trainers love the ease of the app to schedule clients any where they are. Cons: My least favorite things are setting up classes and figuring out the back end was a lot of trial and error. I wish they had better YouTube videos created by the company on how to creat all of these. The support is very slow and not always the best with communication. We'd love to connect with you about what content we can provide to improve your experience with MINDBODY. Would you be willing to set up a call with us? 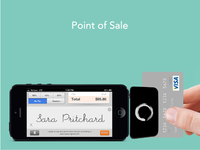 Pros: Streamlines sales of products and services which is a big win for our business. 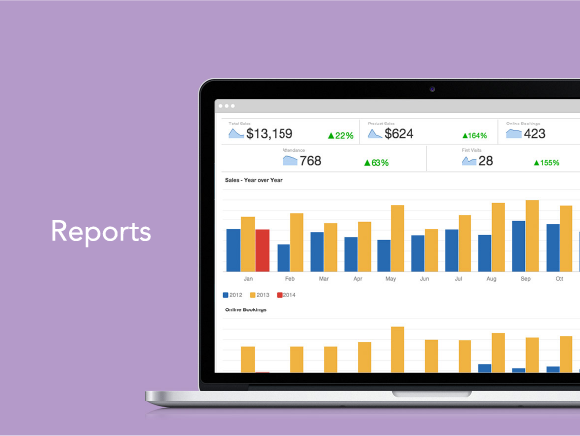 Most reporting features are intuitive and easy to use/apply. The business app tied to the software allows for some functionality when working events or out in the community. Cons: The price is over the top if you have multiple business locations. You cannot host software features for specific locations that need them - it's all-or-none which forces you to pay extra for things you don't use on smaller locations. The app has big limitations on what you can see and do in the system so it is cutting off your ability to run your business on-the-go unless you can still access the desktop version. We'd love to be able to have an automatic rewards system but MBO doesn't allow - you have to track it manually. We'd also love to post workouts and have a way for clients to sign in and log their info but it's not a supported feature. Hold times for tech support are LONG but it's the most effective way to get questions answered since the online forum doesn't address most of our specific questions. After about 3 years using this software I decided to cancel this week. Pros: It is a reliable software. Works well on both online and mobile versions. It is well known in the industry, which means your clients may find it familiar. Cons: Too expensive and always increasing the price, which they try to justify overly promoting things you will probably not going to need. Also, Mindbody used to say how many millions they are investing and blablabla, to justify increasing the prices. Too complicated to use. Prepare to spend lot's of money and time in their 'academy' courses. It is like an old windows system, where you have many ways to getting to the same thing usually getting lost or forgetting in the middle what was you doing... So complicated that they need to have such courses just to teach you the system (or make you more dependent of their system). Without their trainings you are in trouble. Poor costumer service. If you are joining or leaving the company they will give you some attention. If you are a regular costumer, prepare to be ignored and wait long for an answer. Do not recommend at all. Overall: I benefited from its booking system, payment system and customised app. Pros: The software is excellent for both appointment and class based businesses. MB has excellent features for many different industries. It is by far the most feature complete system available. There are constant improvements and MB cares about its base. Changes are thoroughly tested before being released. A rich partner network allows you to expand functionality in many ways. Mobile apps for both the provider, owner, and client are available. Mobile solutions are easy to use. Reporting is easy after some training. Cons: MindBody's insistence of not making their consumer mode mobile friendly is fairly annoying. Reporting interfaces are inconsistent although I understand it is being rewritten and made more consistent. There is a steep learning curve and your success as a client seems dependent upon the person who did your initial setup. There is little consistency in that arena. Overall: The software manages all aspects of my business. I run both an appointment based business and class based business from the same instance. The ability to easily separate my revenue streams is pretty handy. 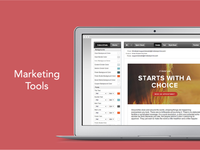 Pros: It's a complete software package aimed at the Salon/Health/Fitness industry. It does a lot of unique things that no other software is set up to do. We use MindBody for everything: scheduling, staffing, payroll, credit card processing, creating promo codes, managing our client database, and more. We even have a custom branded app in both the iTunes and Google Play store. The other amazing thing is that their training and customer support are phenomenal. I've been using them for five years and I have called in numerous times to tech support when I couldn't figure something out. They've always been helpful. They even have a MindBody University that you can attend for even more in depth training, which I am grateful that I attended three years ago. Cons: It takes a while to set up and learn the terminology. Because it does so much it's not something you can sign up for an implement in one day. I'm five years in and I am still learning how to use it more efficiently to improve my business. The software is good, but I feel like it could be better. Pros: I like that the software is easy to use for every day tasks like scheduling appointments, etc. I also like that we've been using the software for several years so there is a lot of data to geek out on. Cons: There are a lot of unresolved issues/glitches with the software. 50% of the time when calling tech support the person lacks the knowledge to assist with the issue or gives a generic "it's a known problem, we have a work order in to fix it". Many of these "work order" items have yet to be fixed (some existing for 8+ months). My concern is these issues reflect poorly on our business as our customers assume it's a Gymnazo error not a Mindbody problem. We are very client oriented and want to give our clients the best experience here at Gymnazo, this includes the easy of scheduling. Another concern is efficiency. I run the KPI reporting and it's a long mundane process to gather all of the information we need for our business meetings. I don't trust the Mindbody reports and feel that I am constantly auditing them to ensure we have accurate data. Pros: Adding clients are easy and making purchases in retail are easy. If you aren't a manager/owner and this is all you'll be doing, this is super easy to you. Cons: Customer service really ruins this product. There are a lot of settings that can completely switch how the product is ran, and before you make a switch usually you want to talk to someone about it. They got rid of their chat, so we instead have to call and wait for a callback, or we have to be on hold for and hour. We recently added ACH to our merchant account, and we were never explained that this was a separate process for each of our locations. We thought we could fill out the paperwork one time for all locations and we would be set. Nope. After over a month trying to get this added, we're still not set up. I've talked to customer service atleast 5 times just in the past week, and they can't manage to fix something simple for me. It's like this pretty much every time there's an issue, impossible to find anyone to help with the problem. Cons: The thing I have trouble with is that having an appointment based business some appointment go into the negatives. Mean clients may have sessions in their account but the lose them and the system looks at it as a negative when they have not used those sessions. Pros: MindBody has endless possibilities. Every time we decide to do something new or extract reports, we are pleasantly surprised that MindBody already has that feature built in! The support is phenomenal. The video support is fantastic and I can usually answer my own question without having to get on the phone or wait til morning. We are so pleased with every aspect. Cons: Took lots of time to learn and customize to our own way of doing business. Most of the time was spent with an extremely patient personal assistant. I am not tech savvy and not young. They took time with me and I never was made to feel inept (something I wish my kids could learn!). They answered endless questions and made absolutely sure that I was well versed. Overall: At the time we began working with MindBody (5 years ago! ), we had been managing our student database with Excel. At that time, we had about 350 students. I was running credit cards individually each month - for hours! We now have 550 students and I wake up on the 15th of the month and my work has been done for me! Pros: The versatility of the product is unmatched. When we started with Mindbody 15 years ago we asked "it would be nice if it did..... whatever". Within short order the ability to accomplish the task, operation, filter, exclusion, inclusion was integrated into the software. Now I call Support and ask "Is it possible to ...... and how is configured?" Almost always the solution is has already been solved. If it hasn't, the development team seems to make it happen. While not every time, so often it feel as though it is. Cons: As with most things the increasing cost of the software. Despite this, the value is still so high that we share and refer all the studios we come to work with worldwide. "I go to bed and wake up to money in the bank and clients in the studio....what's better than that?" Not easy to use by all. Pros: A few years ago the MInd & Body software was introduced to our office at the dance studio I helped run. OUr team saw the great benefits of adding an easy to use system that would help eliminate paperwork during the dance registration season. Our team was really receptive to the new technology, as it helped generate lists and streamline communication. The customer service team also helped build a database that was very customized to our dance programs (even though the program has several elements of setup due to complexities). Cons: Although this system was very useful for us (as we were more experienced using technology), it was very difficult to use by many of our clients (due to lack of technology knowledge or experience). This caused clients creating multiple profiles in attempt to register their children for classes... which ultimately caused my work for us in the back-end. Also, when clients were to register for an incorrect class, they were unable to remove this class on their own. It would have been very helpful was available for clients before they submit their final class list. Comments: I attempted to use MindBody for my dog walk company. After speaking with a helpful and knowledgeable salesperson for weeks, doing my due diligence, I signed up for Premium Account Services to help me configure the software to my needs. The basic set up, adding employees, service types was easy. However, the software has many choices and variables. Signing up for Premium Account Services seemed helpful at first. But, be warned there are pitfalls. They do not keep track of your hours (that is on you, which I find ironic considering it's management software). The other issue was the lack of experience of my account coordinator. I had made an outline and flow chart to indicate my needs to the service rep - the structure of the services and neighborhoods. I was told by the initial sales person that this outline/chart would be used to set up my MindBody software - then the coordinator and I would review the necessary changes. Instead, I was walked through by a rep who kept explaining every feature, in lengthy detail, creating more questions than answers. Upon complaining, I was handed off to two different managers, waiting weeks to resolve the matter. They offered me a few extra hours with the same rep. While that works for them (no time/money to get a new rep up to speed) it did not work for me - it did not work the first time, why try again. In the end, I found better software that was designed for dog walking companies (which I will write a 5 star review for after writing this review). I have been attempting to cancel my MindBody account for weeks. There are hoops, many hoops to cancel. I am sitting her waiting for a call back on Friday night, with a 90 minute wait. Even if you cancel, it can take "up to 30 days to process," so they get you to pay for another month no matter what you do or say. I regret entering into their contract and will seek legal action if my account is not canceled tonight, as the email to management I wrote last night went unanswered. There is better software out there...this may be the largest name, but the customer service is awful and you definitely become trapped. They also keep trying to sell me more products - like an app for my business. While I am trying to cancel, they are trying to sell me an app - pathetic. Too big, too uncaring, too one sided. Avoid them if possible. Started off great! But not worth the money! Pros: I like that it allows you to book appointments as it's supposed to do! Cons: What I least like about this software is the price. I first started with them when they were smaller and it was affordable. Now it's astronomical on how much they charge you to have a mediocre software. It's very complex. Everything additional is an upcharge and they don't treat you with importance. Now you are just another number that sends them money. Customer service is awful until you are ready to cancel. Then they want to treat you like a million bucks! Overall: Terrible! Very unhappy with the value of their product. Thank you for leaving your feedback about MINDBODY. We are constantly working on improving our software and the experience of using it. We see that you canceled your account with us over a year ago, and since then we've built an integration with Instagram, launched a new online booking engine and acquired technology to bring fitness tracking into the studio. Pros: I appreciate that I have the features I need to run my business - including cc processing, external and internal sign-in, reporting, etc. The software is not always intuitive, but there is support staff that can help resolve issues. I enjoyed the Mindbody Bold conference put on this year as there were good workshops, networking and presentations. Cons: I don't like the annual price jumps that don't reflect an increase of features or my use. Though some features have been added to my plan, I don't need them and would rather not have to pay for them. My rate increased by 50% this past year - that is way too much of a price jump. I worry every year now as to what the extra increase might be. I would be ok with a reasonable increase - like based on inflation or some formula that makes consistent sense. The random and large jumps seem quite unreasonable and have a lot of people jumping ship or considering it. Tries to do it all, and ends up mediocre. Pros: Mindbody does a great job displaying ongoing, weekly class offerings and seamlessly integrating the class schedule with customer signup and payments. You don't have to create (and update!) a static calendar on your website, or have a clunky Google Calendar plugin - Mindbody instantly updates the weekly calendar of classes, so nothing is outdated or difficult to read. Mindbody does a good job helping staff manage and track inventory and check out customers who purchase physical items in your studio or store. You can also run daily sales reports and use the software for cash drawer closeout. Mindbody can be used for tracking staff hours, and shows when a manager has corrected staff hours after the fact (i.e. when your staff forgets to clock in). Cons: Having one-time classes, workshops, and events? While these can be a great source of income and publicity, you'll probably have to handle them outside of Mindbody. Your guest teacher or special topic will not show up on the regular class schedule unless you create it as a "class," rather than as an "event." The software is difficult for most front-desk staff to use - whether they're checking a student in for their class, or switching users to complete a sale, Mindbody is slow and not intuitive. Training staff on how to clock in/out, how to ring up/void a sale, how to check in clients, and how to close out the cash drawer should be easy to do and difficult to mess up. Unfortunately, Mindbody isn't intuitive or fast in any of these areas. The ability to customize the user interface and the ability to run reports are almost non-existent in Mindbody, so you'll probably have to use Excel or printouts to help manage these areas. Overall: Mindbody helped manage the weekly class schedule in multiple studio locations, and had a clean sales interface. Thank you for your feedback about your experience using MINDBODY. We're continuously working on improving our software, and reviews like yours help guide our team. Comments: Mind Body you really need to buck up your ideas, you have a rigid system that is overpriced in an increasing market full of new software. Many of my friends and colleagues are moving over to Go Team Up and let me tell you, the customer service is second to none. Cons: Receiving payments from credit card processing was a NIGHTMARE, 10 days to get money and 8 months of constantly contacting them to see if anything could be done. In the end they asked me to shut my merchant account down and set a new one up and this did nothing. Customer services is awful, there are a few who answer the phone who clearly don't want to help you out and reply with short answers making you feel awkward and stupid for even asking. They put their prices up and gave me NO warning of this, price increase, disgraceful!!!!! Reporting system is limited and to find the right one you've got to contact support who take ages to answer the phone, there are so many ways to run a report that it's hard to learn the process. Their system is hard to use, it's not user-friendly. They have no loyalty for customers, when I gave notice to leave they accepted it and moved on, no one contacted me to even find out why I was leaving. Easy to learn, difficulty with functionality at times immediately following updates. Pros: It is really all in one, and we love having multiple platforms available. However, we probably love the fact that MB is always ahead of the trend in introducing concepts like dynamic pricing, more than we like the actual software at this point in time. Cons: Payroll & reporting in general- it is clunky and time consuming to navigate. Payroll is very outdated and would be helpful if it were structured similar to payroll reporting like that in the retail industry. Proper timekeeping will become increasingly important as boutique studios find success and expand into multi-location. Corporations are often targeted with labor lawsuits, and as it is set, payroll is not effective. Also, a more effective P&L report with up to date cash flow would be a bonus. We LOVE everything mobile!!! More please! However, sometimes mobile software is so well written that it overrides the desktop version or branded app functionality. 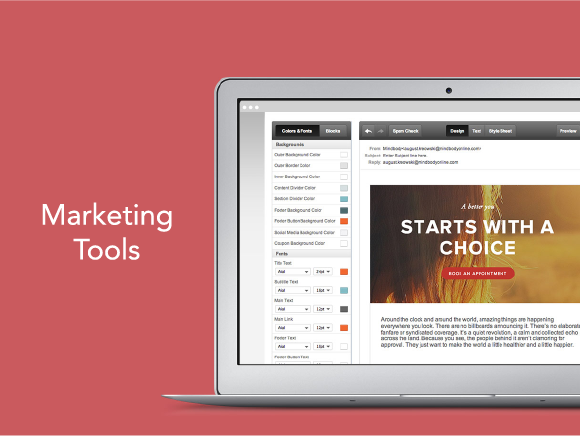 Pros: What I Iove most is the ability to use MBO for sales, reporting, and booking. The fact that this all happens within one platform is incredibly helpful. I also love that MBO has continued to improve their offerings each year. I've used the platform since 2013 and have loved seeing new and exciting ways to help grow my business. Cons: 1) Some of the graphics on client profiles and reports are a bit dates. The app functionality has an incredible user experience as does all front-facing technology. On the backend, it can feel a bit clunky to move through client profiles and run sales reports. If the forms were a bit elevated and modernized and provided the same UX to businesses as to customers that would be great. 2) Wish list item would be for MBO to have an automated email program directly integrated (like Infusionsoft or another CRM system) rather than having to go to an outside email system. I love using the Mindbody app from both an instructor and a client perspective. Pros: I feel like it is mostly pros that I feel about the software. I love as an instructor you can see who is signed up for your class. I like that you can add people to your class and even charge client's card from their file for merchandise. I like that you can late cancel clients so they are charged for the fee. I think as a client it is amazing that you are able to see your class history. I like to visually see how many classed I've done in a month. I like that you can see your own schedule for the upcoming weeks and book out to keep motivated. I like that there is an app for your phone to sign up and cancel on the go. Cons: The only con about this software is that there are times when it come's down for a day at a time and there is no way to sign up for class that day. If you just show up it may be overbooked or as a client it is hard to take attendance. Pros: I like the fact that I can manage both my acupuncture as well as my martial art business on the platform. The customer service is good. The monthly billing feature is sufficient and adequate although the fees are a little high. Overall: Overall enjoy the product. The customer service is good. I noticed the software is mainly designed for yoga studios salons Pilates mostly female oriented business is actually. There's not much representation with the martial art community. But it's all good you guys seem to make up for it. I don't agree with the left-leaning politics of the organization. customer support is a joke. I think we could have much more relevant speakers at the Bold conference who actually contributed to the business world. Pros: The client interface that allows clients to connect to my business 24/7 and buy and sign up for classes. Cons: The capabilities are so vast that sometimes it is difficult to find out how to do things within the back end of the software. Overall: I have a very small group fitness business. Before Mindbody I spent a lot of time trying to find clients, keeping track of client payments, and wondering whether clients were going to show up to class or not. Mindbody revolutionized my business. Not only did they automate all the tedious accounting and bookkeeping tasks I was doing manually, but they also accelerated my business beyond what I thought was possible -- bringing me new clients by the dozens. I was able to sell classes online 24/7, instead of being limited to accepting cash and checks at class. Their software also incorporated so many automatic features like reminders and client retention tools that I simply didn't have the time to do manually. And of course with the Mindbody app I am able to look at class sign-ups in real time, knowing which clients to expect in class -- giving me the opportunity to tailor classes to my clientele. I am thoroughly impressed with Mindbody and would highly recommend it to any fitness business. Thank you for your review, Jodee! Pros: A number of fitness studios where I have taken classes (Yoga District, YogaWorks, Down Dog, to name a few), as well as the New York Health & Racquet Club which used to be my gym, use Mindbody. It actually took me a while to realize when I was purchasing or registering for a class online that I was being redirected to the studio's Mindbody site/account, not just purchasing right through the company. I guess you could say that is a big pro - because it seamlessly integrates with the studio's website and you don't feel like you have to take a big extra step to register. It's nice not to have to enter all of your information every time you sign up (i.e. credit card info) but rather just get to click, click, click, done. And I also like that you can manage your classes from there, so if you need to cancel a class, you can easily access it via Mindbody and cancel within the policy window (some studios really aren't big about picking up the phone/individual email). Cons: I don't love having to remember an extra password. I usually make my password the same for everything, so it's no awful, but it would be great to have one Mindbody account where somehow I can sign on, stay signed on, and just click from the "register for class" button on the site into Mindbody (in other words, it would be great to have one Mindbody account across all of the studios I use). Overall: I get to register and prepay online for classes so I can 1) guarantee a spot in the class ahead of time and 2) be able to just walk right in and not have any registration hassle. Comments: I've been using MINDBODY software now about 10 months. It is a nice program with interactive apps, that when purchasing, the sales people will remind you how great they are for your business. "MINDBODY Connect, It's a free app for your students to download and they can connect to your studio!" 1. Beware of complaining about Mindbody Connect. When I reported challenges, I was told ..."well, it's a free app"...Really, then why was it pumped up so much in the Sales Pitch? 2. Tech support is hit or miss with MB employees who are awesome or awful. I had a time where I had to call weekly to report the system not operating properly and on the receiving end were the snarkiest most miserable tech support people Other times, I've had great people, which makes an uncomfortable conversation much more palatable. NOTE: It seems that quite frequently every other APP in the world releases updates, i don't see MB updates often. I run all the MB on Apple (Macbook, iPad, etc) I'm not certain if this itself is an issue. 3. Consumer mode vs BUSINESS OWNER mode. If you are new business, it's an additional large expense so you may want to consider a simpler less fancy alternative. But, If you've got the where with all to get up to speed (which in reality I don't think I'll ever be completely up to speed with this) and you think the end reaching opportunities of what this does (and can do with the super fancy and higher $$$$$ upgrades) is for you...then go for it. My last suggestion and most important suggestion... Memorize your client ID and the Customer Support phone number.